ISLAMABAD, Pakistan (CNN) — A man believed to be the key planner of the September 11, 2001, terrorist attacks — and linked to nearly every al Qaeda attack in the past five years — was in U.S. custody Sunday after he was captured in Pakistan. HEIDI COLLINS, CNN ANCHOR: Let’s go ahead and get some “Insight &amp; Input” now into what the arrest of Khalid Shaikh Mohammed means. ANDERSON COOPER, CNN ANCHOR: We are welcoming your calls and your e-mails. You can e-mail us as wam@CNN.com. Our toll free number is 800-807-2620. Call us with your questions for our guests this morning. PAULA ZAHN, CNN ANCHOR: The tape which U.S. officials believe was recorded by Osama bin Laden. Among the many questions posed by the new terror tape, is there any meaning in the timing of its release? Could it mean an attack might be close at hand? More than two and a half years after the attacks on Manhattan and Washington Osama bin Laden continues to influence the scope and targeting of the global jihad that al Qaeda put into motion with the 9/11 attacks. In October 2003 bin Laden released an audiotape calling for attacks on the Spain, Britain and Italy, all countries that are part of the coalition in Iraq. After that tape was released an al Qaeda affiliated group attacked an Italian police barracks in southern Iraq killing seventeen, Islamist militants in Istanbul carried out suicide attacks against a British bank and consulate killing some sixty people, seven Spanish intelligence agents were ambushed and killed in Iraq, and last month multiple bombs in Madrid killed 191. Every few days, somewhere inside the daily newspaper, there is an account of someone being detained somewhere for some link to al-Qaeda or somebody being let go. French police arrest three men and a woman for links to a planned chemical attack. A German convert to Islam, suspected of having been in phone contact with the truck bomber who blew up a historic synagogue in Tunisia, slips out of the country while, it was reported, he was under surveillance. From this patchwork of dispatches, it’s hard to figure out just how the global pursuit of al-Qaeda is going. 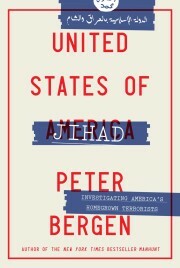 Joining us now is Peter Bergen, who’s the author of “Holy War, Inc.” and also CNN’s terrorism analyst.